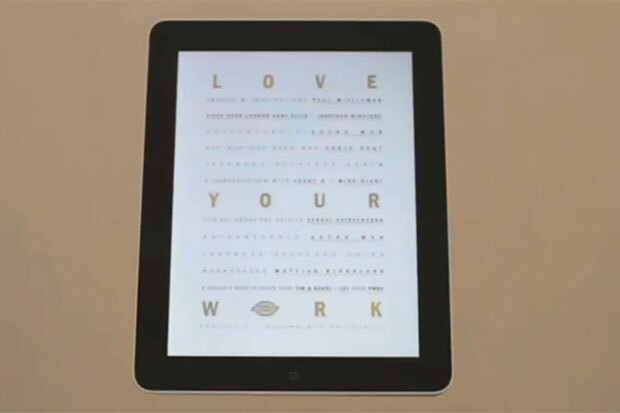 Dickies have gone one step further with their “Love Your Work” project and created this rather swanky iPad app for your pleasure and enjoyment. You may remember that back in September we attended the launch of the “Love Your Work” project by Dickies at the Maverik Showroom in East London, the outcome of which was a very nice collectable magazine. Well, to extend the project and enable those not fortunate enough to attend the event or grab a mag to join in the fun, Dickies have created this dope iPad app to compliment the project. Let me make something clear, if you have an iPad and therefore can use this app I hate you (can you smell the envy?). Seriously, for those that do have an iPad I strongly suggest getting this app and having a play – it’s filled with fascinating content from creative folk, all of which is interactive. It also breaks down the Dickies AW11 collection … literally. For those of us who don’t have iPads (yet), we will just have to watch the video trailer and dream.